New Delhi: Given the opposition towards the Ratnagiri refinery, a high-level committee of experts has been set up to draw a road map for settlement of land acquisition issues, state-run Indian Oil Corp. Ltd said in a statement today. The committee set up by project promoters, including Indian Oil, will be headed by D.M. Sukthankar, former chief secretary of Maharashtra and former urban development secretary with the central government. It will also look at “satisfactory resettlement and rehabilitation of the project affected people” and submit its recommendations within the next six months to the project promoters and the Maharashtra government for further action. The project promoters include Indian Oil, Hindustan Petroleum Corp. Ltd (HPCL) and Bharat Petroleum Corp. Ltd (BPCL). Abu Dhabi National Oil Co. (Adnoc), the state-run oil firm of the United Arab Emirates (UAE), plans to pick up a stake in the $44 billion refinery and petrochemicals project from the world’s biggest oil producer, Saudi Arabian Oil Co., or Saudi Aramco. 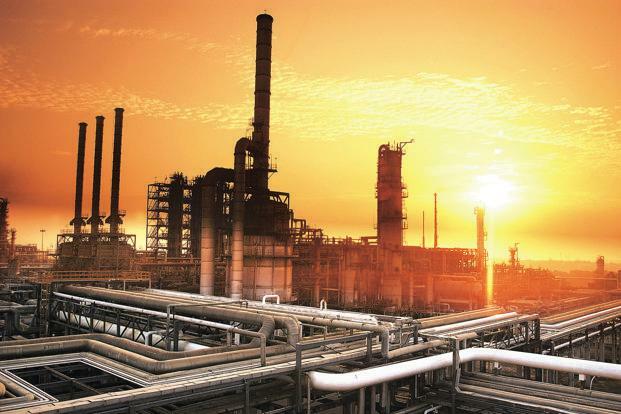 The Shiv Sena has been opposing the 60 million tonnes per annum (mtpa) refinery and petrochemical complex proposed to be set up over 5,461 hectares in Ratnagiri and Sindhudurg districts of the Konkan. Political opposition to the project is growing, with the Congress and Nationalist Congress Party (NCP) siding with a section of locals agitating against the project. The other members of the Sukthankar committee are Vijay L. Kelkar, chairman of National Institute of Public Finance and Policy and former secretary in the ministries of finance and petroleum; Abhay Pethe, former chair professor and director of Department of Economics, University of Mumbai; J.B. Joshi, president of Marathi Vidnyan Parishad, and former director of Institute of Chemical Technology, Mumbai; and S.B. Kadrekar, former vice-chancellor of Konkan Krishi Vidyapeeth. “The expert committee, set up by the promoters of the project will, having due regard to the various concerns about the project expressed in general and those voiced by the people likely to be affected by the project in particular, recommend a roadmap for the settlement of issues related to acquisition of land for the project in a fair manner and satisfactory resettlement and rehabilitation of the Project affected people,” the statement said. Shiv Sena has claimed that the project would adversely affect cashew and mango farming in the Konkan and disturb natural habitat. “The committee has been empowered to invite and interact with all stakeholders and to commission and monitor such special studies as it may consider necessary, such as environmental impact assessment, social, economic and cultural impact assessment etc.,” the statement added. The National Democratic Alliance (NDA) on its part has maintained that the project would bring huge benefits to the Konkan region of Maharashtra and the entire country. “The project is planned to be the largest such project in the world and is of vital importance for meeting the country’s energy needs and providing energy security,” the statement added.